An international team, including a Shenzhen-based gene sequencing company, has discovered that "random" mutations in the genome are not quite so random after all. 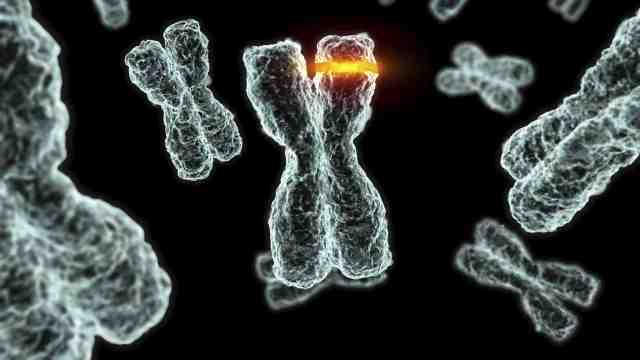 Their study, to be published in the journal Cell on December 21, shows that the DNA sequence in some regions of the human genome is quite volatile and can mutate ten times more frequently than the rest of the genome. Genes that are linked to autism and a variety of other disorders have a particularly strong tendency to mutate. Clusters of mutations or "hotspots" are not unique to the autism genome but instead are an intrinsic characteristic of the human genome, according to principal investigator Jonathan Sebat, PhD, professor of psychiatry and cellular and molecule medicine, and chief of the Beyster Center for Molecular Genomics of Neuropsychiatric Diseases at UC San Diego. "Our findings provide some insights into the underlying basis of autism—that, surprisingly, the genome is not shy about tinkering with its important genes" said Sebat. "To the contrary, disease-causing genes tend to be hypermutable." Sebat and collaborators from Rady Children's Hospital-San Diego and BGI genome center in China sequenced the complete genomes of identical twins with autism spectrum disorder and their parents. When they compared the genomes of the twins to the genomes of their parents, the scientists identified many "germline" mutations (genetic variants that were present in both twins but not present in their mother or father). Nearly 600 germline mutations – out of a total of 6 billion base pairs – were detected in the 10 pairs of identical twins sequenced in the study. An average of 60 mutations was detected in each child. "The total number of mutations that we found was not surprising," said Sebat, "it's exactly what we would expect based on the normal human mutation rate." What the authors did find surprising was that mutations tended to cluster in certain regions of the genome. When the scientists looked carefully at the sites of mutation, they were able to determine the reasons why some genomic regions are "hot" while other regions are cold. "Mutability could be explained by intrinsic properties of the genome," said UC San Diego postdoctoral researcher Jacob Michaelson, lead author of the study. "We could accurately predict the mutation rate of a gene based on the local DNA sequence and its chromatin structure, meaning the way that the DNA is packaged." The researchers also observed some remarkable examples of mutation clustering in an individual child, where a shower of mutations occurred all at once. "When multiple mutations occur in the same place, such an event has a greater chance of disrupting a gene," said Michaelson. The researchers surmised that hypermutable genes could be relevant to disease. When they predicted the mutation rates for genes, the authors found that genes that have been linked to autism were more mutable than the average gene, suggesting that some of the genetic culprits that contribute to autism are mutation hotspots. The authors observed a similar trend for other disease genes. Genes associated with dominant disorders tended to be highly mutable, while mutation rates were lower for genes associated with complex traits.